I love movies. I love television. If it's on a screen and it's moving, I'm watching it. The social networking site, GetGlue, fuels my addiction. I "check-in" online, via my phone, tablet and I tweet my favorite shows' hashtags like nobody's business. I watch more programming on television than anyone I know. If I spent half as much time at the gym that I do watching TV, I'd give Jillian Michaels a run for her money. Since the advent of TiVo, my life has never been the same. First, my recorder held 40 hours of recorded material. Now, it's got 90 hours' capacity. I'm ready to buy, rent, borrow or steal all of the 2013 best picture nominees. A French language film about an elderly couple and the remembered and forgotten love between them in their last days. Cook oil and curry powder in a large saucepan over medium heat, stirring, until fragrant, 1 to 2 minutes. Stir in carrots, celery and onion; toss to coat in oil. Cook, stirring frequently, for 10 minutes. Pour in water or broth. 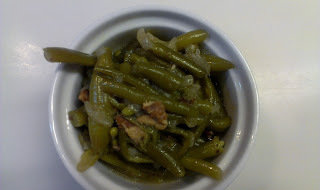 Bring to a boil and then reduce heat to low and simmer until the vegetables are very tender, about 10 minutes. Remove from the heat. Transfer the soup to a blender and puree (use caution when pureeing hot liquids). Season with lemon juice, salt and white pepper. CIA-led operation involving the rescue of six U.S. diplomats from Tehran, Iran, during the 1979 Iran hostage crisis. Place lamb in resealable plastic bag set in dish. For marinade, in bowl whisk together lime zest, lime juice, honey, garlic, salt, and pepper. Reserve 1/4 cup marinade. Pour remaining over lamb. Seal bag; turn to coat. Refrigerate 1/2 to 2 hours, no more than 4 hours; turning once. Remove lamb; discard marinade. On twelve 6-inch skewers thread lamb. For charcoal grill, place on rack directly over medium coals. Grill, uncovered, 12 to 14 minutes or until meat is slightly pink in center, turning and brushing often with reserved marinade. 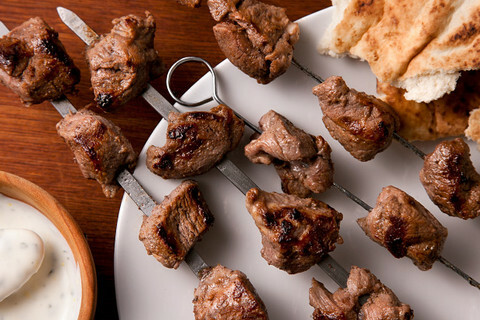 Serve skewers with yogurt, and pita. Dealing with her ill father and evacuating her bayou village, a little girl named Hushpuppy must be courageous and strong. Cut bacon into lardons (1/4 inch pieces). Place bacon in a medium saucepot. Cook over medium heat until browned, stirring often. Add beans, shallot and 4 cups water or stock to bacon and bacon grease and bring to a boil. Lower heat to a simmer and cook over medium heat until beans are very soft, about one hour. Add vinegar and sugar. Stir. Let simmer a few minutes, stirring occasionally. Salt and pepper to taste. Serve warm. Django, a slave, and Dr. Schultz schlep across the South to rescue Django's wife ,Broomhilda, and bounty-hunt along the way. Bring a large pot of Kosher-salted water to a boil over high heat. Add the pasta and cook until al dente. Drain and rinse with cold water; set aside. Heat the milk in a medium saucepan over medium-high heat until it just comes to a simmer, then turn off the heat and set aside. OR heat in a microwave-safe bowl on high for 3 minutes and set aside. In a large, heavy-bottomed saucepan, melt the butter over medium heat. Add the flour and whisk constantly until the mixture turns very light brown in color, about 3 minutes. While whisking constantly, slowly add the hot milk to the flour mixture until evenly combined and smooth. Return the saucepan to medium-high heat and while whisking constantly, cook until the sauce thickens and coats the back of a spoon, about 2 to 3 minutes. Stir in mustard and cayenne. Remove from the heat. Stir in 2 cups of sharp cheddar cheese, Pecorino, 3 eggs and 3 tsp mustard. Add the pasta and continue cooking, stirring occasionally, until the pasta is heated through and steaming, about 2 to 4 minutes. Serve immediately or, if baking, transfer to a 5-quart baking dish, sprinkle with the remaining sharp cheddar cheese and panko and bake until bubbling and brown on top, about 25 to 30 minutes. Looks tasty. I'll try your recipe at home. Thanks for providing recipes. Looking forward to visit your blog often. Thank you for visiting! You're more than welcome for the recipes. I look forward to reading your comments!